The big “leak” in our economic system is our inability to capture and fairly spread high productivity or creativity. A self-described “Renaissance man,” Phil Hyde was born in Canada. 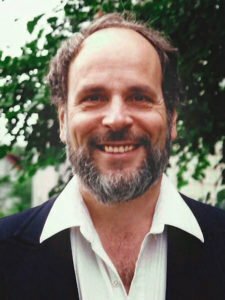 He received his bachelor’s degree in ancient languages and Near-Eastern Studies from the University of Toronto, and a master’s degree in linguistics from the same institution in 1968. He then came to the U.S. as a Harvard University doctoral student, where he took graduate courses in linguistics at Harvard and the Massachusetts Institute of Technology (MIT). During this time he became a naturalized U.S. citizen. In the 1970s Phil became part of the Limits to Growth movement centered at MIT. He began to question standard economic assumptions about growth and its benefits. In this context, Phil also began to think about the length of the workweek and how it affects economic growth, employment, lifestyle and leisure. This inspired him to develop and promote the concept of Timesizing. In this role he was one of the first champions of the shorter-hours movement. Over his career Phil worked as a university administrator, technical writer, and researcher/writer for an electronic news service. But his passion was Timesizing, and the history of labor and work-hours. He studied independently with economists Paul Rosenstein-Rodan of Boston University and Carolyn Shaw Bell of Wellesley College, and read extensively in the fields of worktime economics and economic history. He taught history of economics at the Cambridge Center for Adult Education. Phil was continually frustrated by the persistence of high unemployment at a time when the American work week was getting longer and longer. To promote the Timesizing idea, in 1996 he ran for congress against Joseph P. Kennedy II, receiving nearly 16 percent of the vote on a campaign budget of zero dollars. He tackled a Kennedy once again in 2000, running for senate against Edward M. Kennedy. He readily acknowledged that the purpose of his political career was to champion and generate interest in Timesizing. 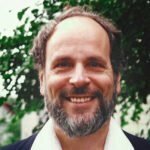 Phil loved learning, and throughout his life continued to take courses in economics and economic theory, as well as areas as varied as evolution, physical and cultural anthropology, and astronomy. To the end of his life Phil’s mission remained Timesizing, and until his death in April 2016 he updated the Timesizing website daily with worktime and shorter hours news, opinions and related political issues.